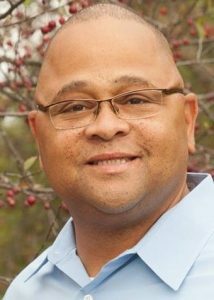 Meet Mitch McKinney, this week’s featured board member. Mitch is a sergeant with the Fort Wayne Police Department and President of the local Fraternal of Police. He was born and raised in Fort Wayne and graduated from Bishop Dwenger High School. He received his BA in Criminal Justice from Indiana Wesleyan University. He also serves as a state executive officer for the Indiana Fraternal Order of Police as a trustee for northeast Indiana. Mitch has served FWCC as a volunteer for 5 years. He also has a son who sings with Youth Chorale. 1- What were you most surprised to learn about FWCC after getting involved? I was most surprised at how professional the children were on and off stage. That is the sign of true leadership behind the scenes. 2- Why do you think FWCC is important to our community? There are not many organizations that offer such an opportunity for talent to be displayed like you can in the FWCC. By exposing these children to various events and performance opportunities it allows the community to see those kids that aren’t always featured in the paper for the ambassadors that they are. These children are the true ambassadors of Fort Wayne. 3- What is your favorite FWCC memory? I would have to say that my favorite memories were made on tour this summer when I was able to chaperone the trip to NYC and Washington DC. I had a picture taken of my son and I at our nation’s Capitol and I will cherish it forever. We had a great bonding trip and look forward to the next! I look forward to many years of service to this organization. It is this kind of non traditional police work that helps mold our youngsters to have positive relationships with law enforcement. My son has only three years left in the organization and I plan on serving to the fullest!! !